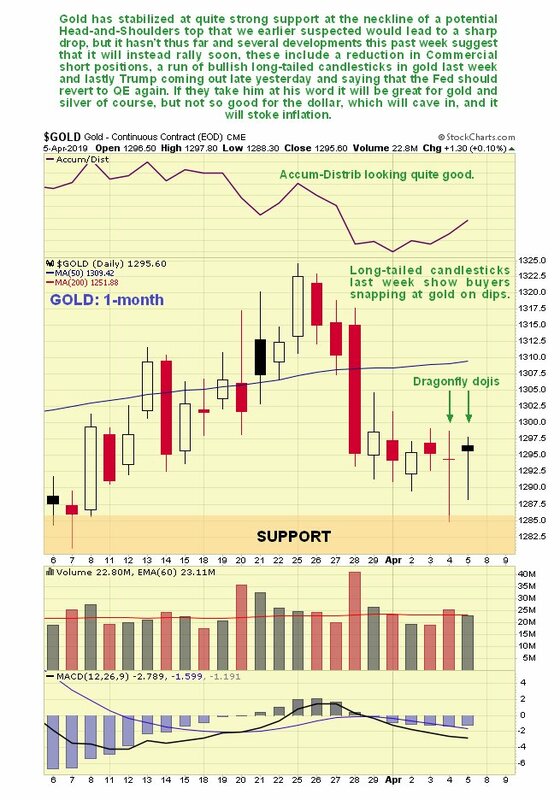 …and while I myself would perhaps have expressed this in a somewhat more restrained manner, the point is certainly worth taking, especially as there were two other developments during last week that were positive for both gold and silver, as we observed yesterday in the new Silver Market update. These were a run of bullish candlesticks on both the gold and silver charts last week and then we had Trump declaring after Friday’s close that the Fed should revert to QE again, meaning QE4. 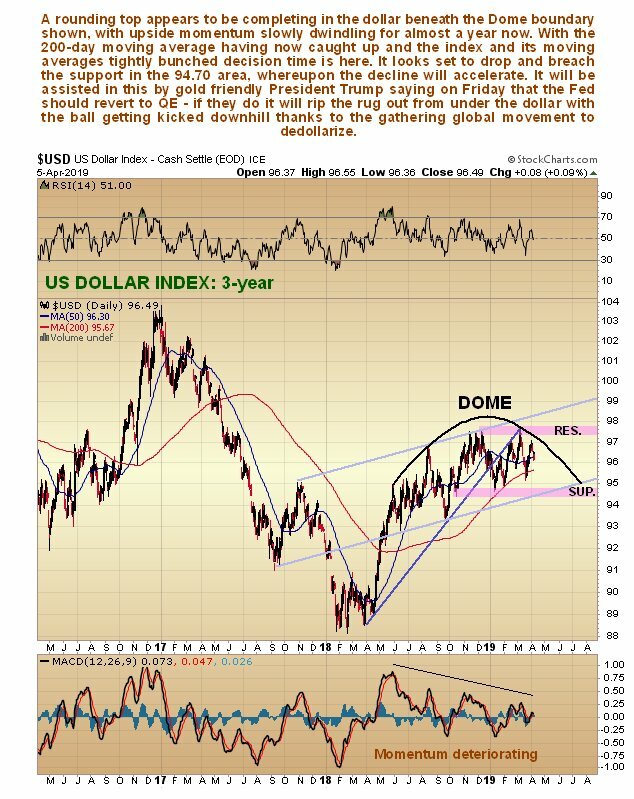 If they take him at his word the dollar is going to suffer terribly this time round which will ramp up inflation – good news for gold and silver. 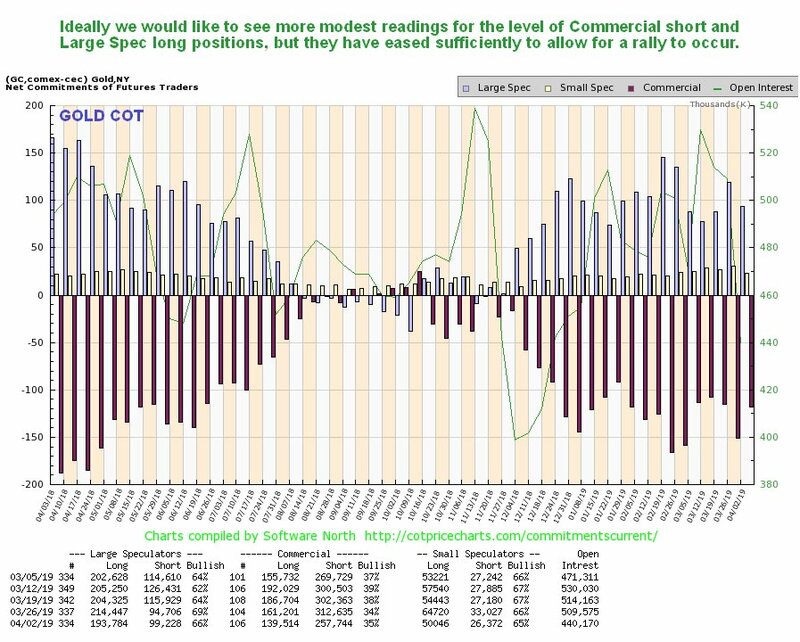 This is a good point to veer off and take a look at the latest COT chart for gold on which we see that while Commercial short and Large Spec long positions did indeed ease last week, enough to permit a rally, they are still at fairly high levels, which is why we cannot entirely rule out a further drop, although as mentioned above, other factor are pointing to an imminent rally. 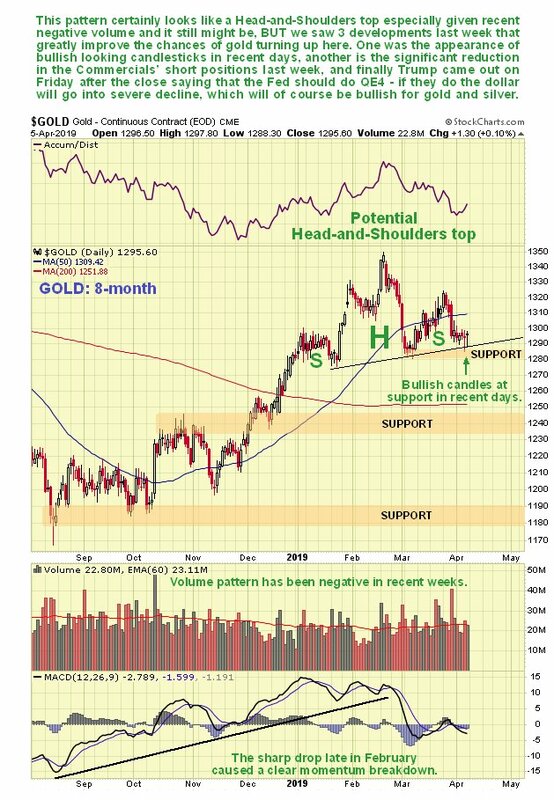 Finally, on its long-term 10-year chart we can see that gold is still on track to break out from its giant Saucer base before much longer, which will be achieved by its breaking clear above the strong resistance at the top of it, approaching and at the $1400 level, and here we should note that gold has already broken out against the Australian dollar, which partly explains some big gains in Australian gold stocks, and looks set to break out soon against the Swiss Franc. 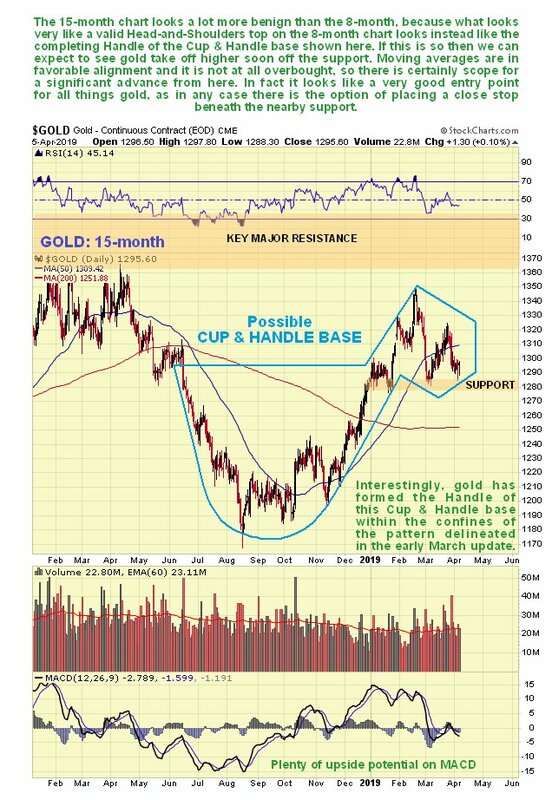 There are several other observations to make regarding where gold is at within this important Saucer pattern against the US dollar. The first is that a base pattern of this magnitude, which has been forming for 6 years now, and is relatively symmetrical, is unlikely to lead to a failure or breakdown. 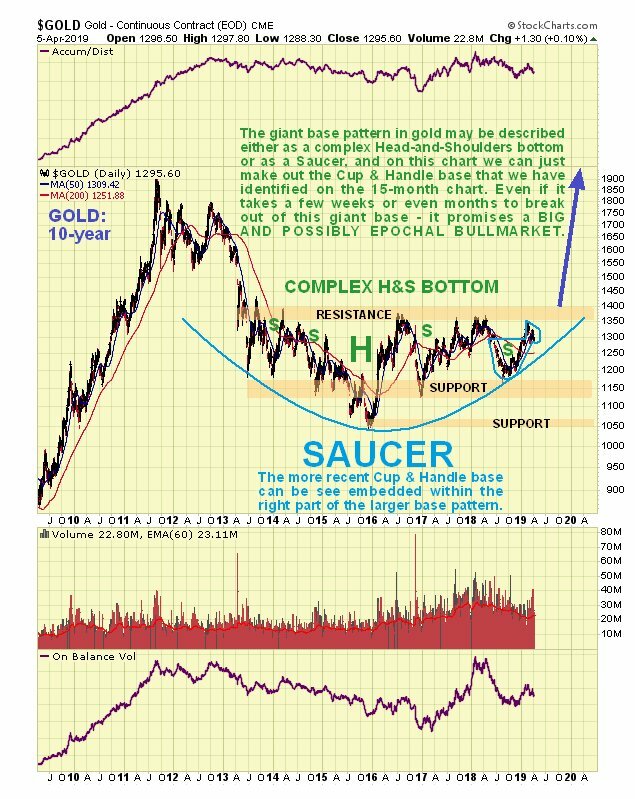 The second is that the rising Saucer boundary is now coming into play and should force an upside breakout by the end of the year at the latest – more likely is that gold breaks out during its seasonally strong months of August and September. The third point is that when it does break out it will be A MAJOR TECHNICAL EVENT THAT WILL USHER IN A BULLMARKET THAT WILL DWARF ANY EARLIER ONE which is hardly surprising as it will be against the background of hyperinflation caused by unrestrained QE.